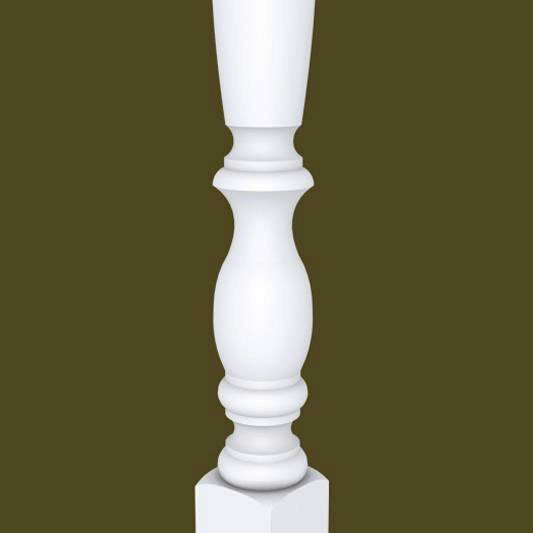 This baluster has a 1 3/4″ square bottom block. Please let us know if you have other questions. 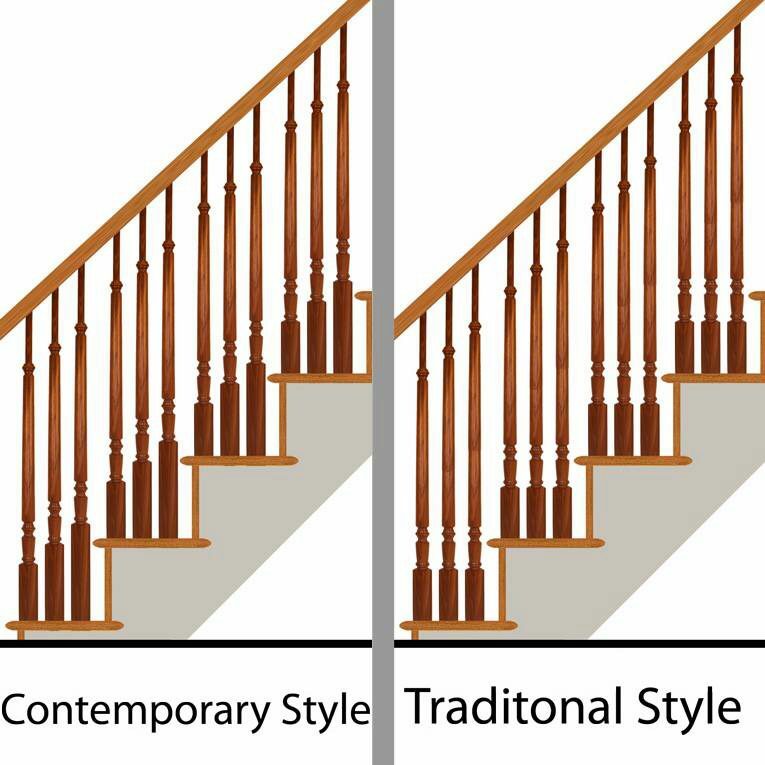 can you paint the balusters white ? We can definitely paint the balusters once they have been primed. We would ask for the specific formula or color name of the paint that you wanted to use, so that we can be sure they were the shade of white you were wanting. The charge for that would be $7 per baluster. You can either order online, and then call in to make that change. Or you can call in and place your order over the phone. Do you have newels to match this style? Yes! 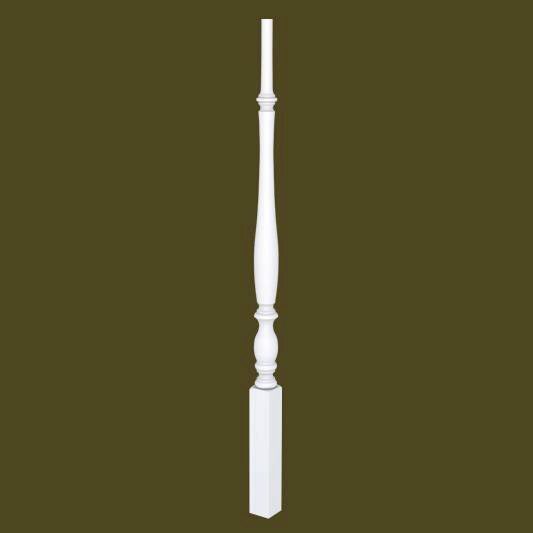 The newels in the regency series will work well with this wood baluster.